When we talk about pork roast, we are referring to parts of pork that have been perfectly roasted to tenderness and succulence in the best way possible, so it isn’t just a part of the pork but different parts. What does this mean? This means that what determines how good your pork roast turns out is not just the part of pork you choose to buy, although this is also a determinant factor in the whole process but the way it is cooked matters more. So we are going to find out ways to make your pork roast to get the best from whichever pork part you cook with befitting recipes and then awesome sides for it, that is, if you intend going about the roasting yourself, at home, in your kitchen and that is what we are all about here, helping you achieve delicious meals from the comfort of your house at all times. If you have been wondering how to get that pork roast working for that party you have in mind you are in luck, this recipe by My Kitchen Love has all the answers you need. If she can get that amount of pork to cook perfectly then, you are definitely in safe hands no matter how many people you are catering for. It is important to get pork that has layers of fat as indicated; this is because these layers help the pork get really mild on the inside while the outer parts get done as well, generally, getting parts of pork that have this inner fat layer gives you better results. This pork roast gives you garlic and rosemary filled meat when you are done with the browned crispy back. Depending on where you are, you could see pork parts named “pork racks” this is the same as a bone in pork loins and should be purchased the same way. 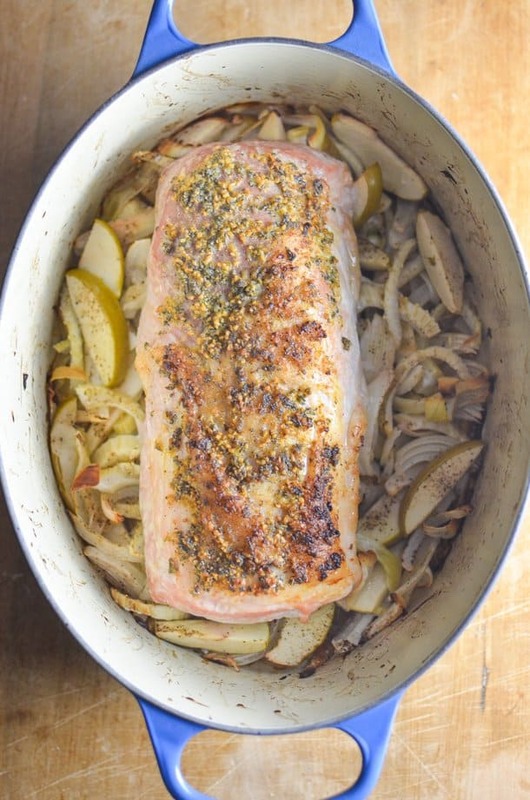 If you take a look at the pictures posted on the recipe page of this fennel and apple pork roast by Simply Whisked, you will notice it has some similarities as well as differences with the first recipe. In this case, the pork itself is not cooked to dry out too much; it is prepared in such a way that there is still some moisture around the meat and this moisture will also reflect on the overall taste of the pork. What else is clear-cut about this way making pork roast? The generous use of the herb fennel, just awesome. When fennel is roasted, it tastes even better with all its sweetness intact. You are about to get a recipe for one of the best sandwiches in America (at some point). This way of making your pork roast gives you a very juicy fall apart kind of meat that you can’t resist. In this recipe by Autumn & Spring, the pork roast is used for making sliders which are perfect for a get-together and then the slow cooker comes in, what more can you ask for? When you talk about time-saving recipes, this is one of them. If you have a very tight schedule but still want to enjoy some pork roast, you have this to thank, all the sauces and ingredients can be made days ahead and preserved till when it’s time to cook along with the pork. What can I say about the aioli, if you haven’t made use of it before, you will understand why it is so appreciated by the time you make this dish. Garnish your juicy pork roast with some parsley and serve alone if you don’t want it in sliders. I know you don’t even want to hear the word that’s if you even know what it is, I can feel the “why rutabagas?” expression on people’s faces. The thing is, with the invention of equipment such as a spiralizer (God bless the souls of the inventors), you can now make what would have ordinarily been a regular fruit into an awesome noodle that can replace whatever starchy pasta you would rather not have, and that’s the case with this recipe by Simple Seasonal. Let’s make another substitute shall we, rather than have regular fries with your pork roast which you must have had many times over even when you don’t have any meat with it, have some eggplant fries in its place. It’s utterly simple, crunchy and you can get your kids to come around having this instead of potato fries on a regular basis. Use this recipe by The Endless Meal for parmesan coated eggplant fries. One thing about dishes like this is that you get as much satisfaction as you would have gotten when you eat heavier versions of it and if you do it right, you will get hooked. You can peel the back of the eggplants before you fry, this will leave out the obvious deep hue of the eggplant skin, but the taste is still the same. Whether you like it slightly pink on the insides or very cooked and white all through with a crisp and blackened body, pork roast can give you all that and more. When making a pork roast, think more of timing and herbs, with different timings for baking or frying, you can achieve relatively contrasting levels of softness and taste from your pork, and with the use of spices and herbs, you can make one pork roast different from the next one you have planned up. 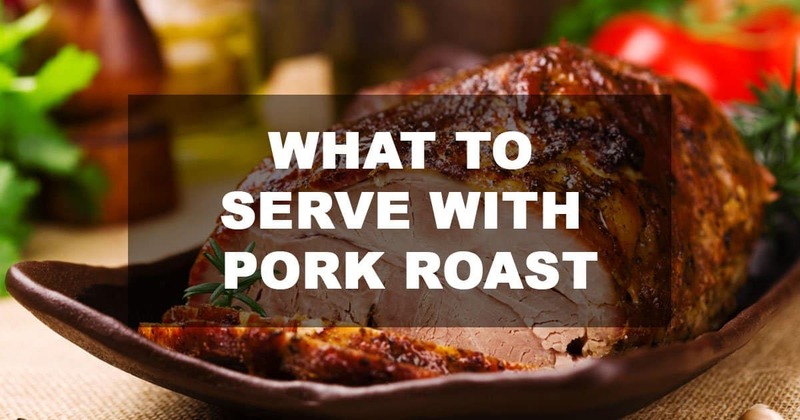 If you intend trying out various parts of pork for your pork roast but aren’t sure how to go about it, you can get some helpful tips from this write up by Delicious Magazine. Get your imaginations running and make some fantastic pork roast.